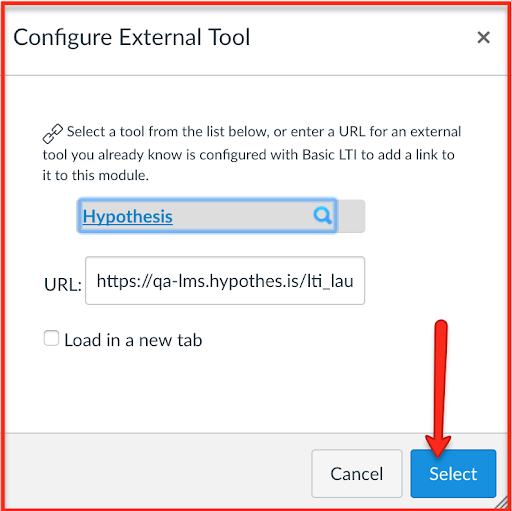 Using the Hypothesis app within Assignments allows some additional functionality over creating Module Items. Instructors can assign the reading/annotating to a particular Canvas Group and also set due dates or dates of availability for the Assignment. 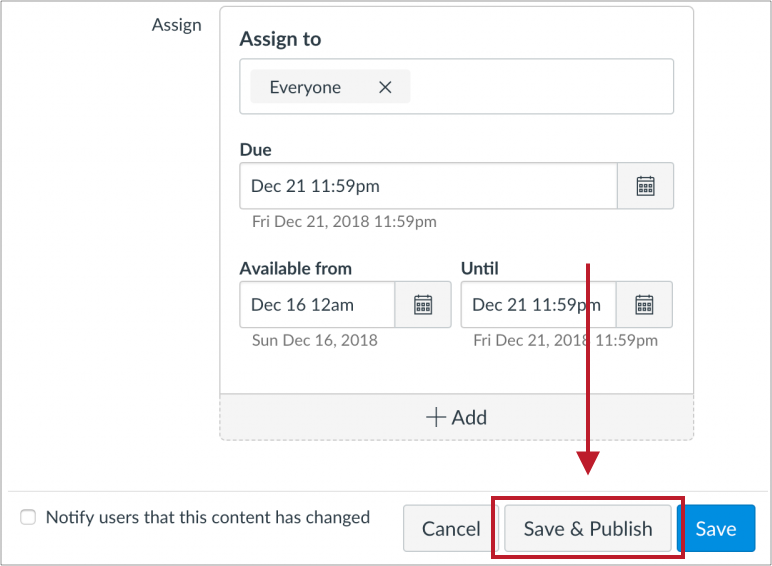 There is not yet an official submission piece to Hypothesis assignments within Canvas but we plan to add the ability to assess and offer feedback on annotation “sets” in the future. Note: some users may have to click a More Options button to see this field. From the drop-down menu, choose External Tool and click Find. 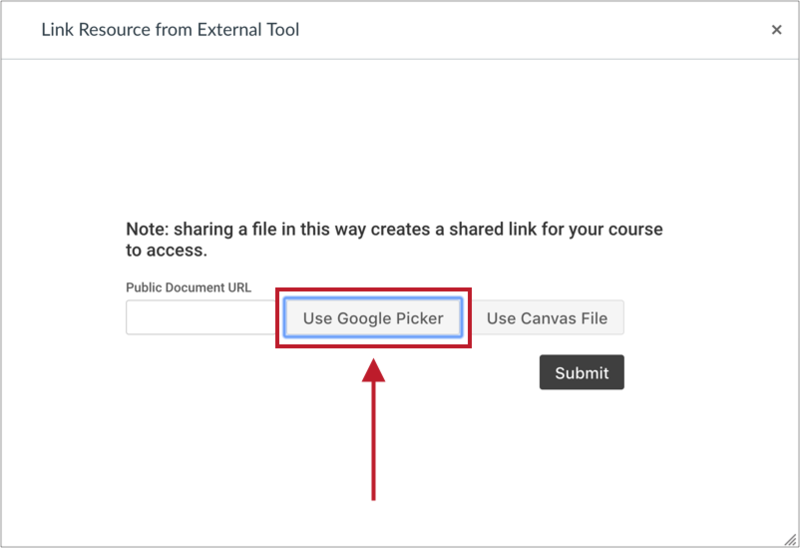 On the next screen, you will be able to create an Hypothesis-enabled reading by linking to a publicly-viewable page or document (see Step 4A), choosing a file from Google Drive (see Step 4B), or selecting a file from your Canvas file repository (See Step 4C). 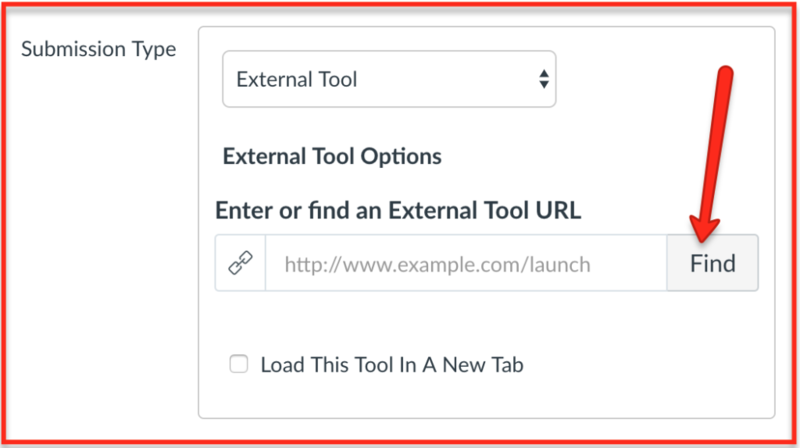 On the “Link Resource from External Tool” screen, paste a link in the text box. Please note that the content at the link must be publicly viewable (i.e., not behind a login or paywall). Here we’ve chosen a Wikipedia article, but you can link to blog posts, open-access books, journal and news articles, HTML pages, etc. 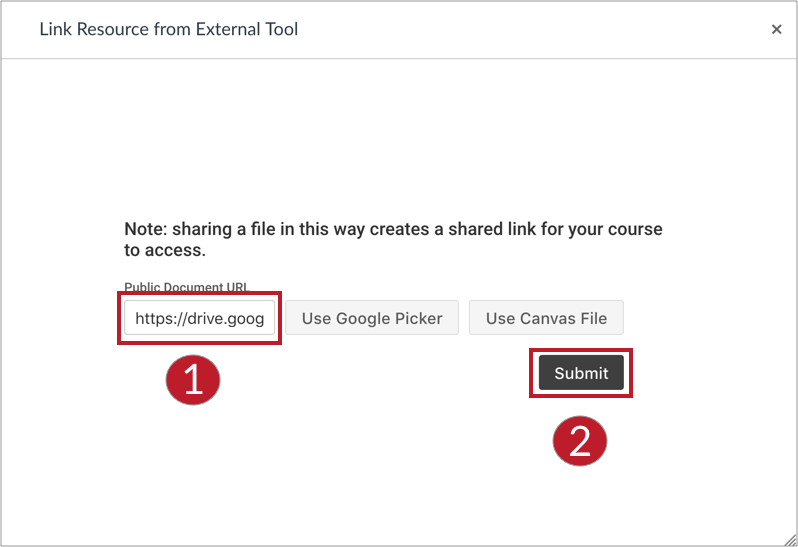 Note: This process will change the privacy of the selected Google Drive file to “Anyone with the link can view,” creating a publicly-viewable URL for the document. However, the document URL will not be shared with anyone outside your course and cannot be easily discovered. 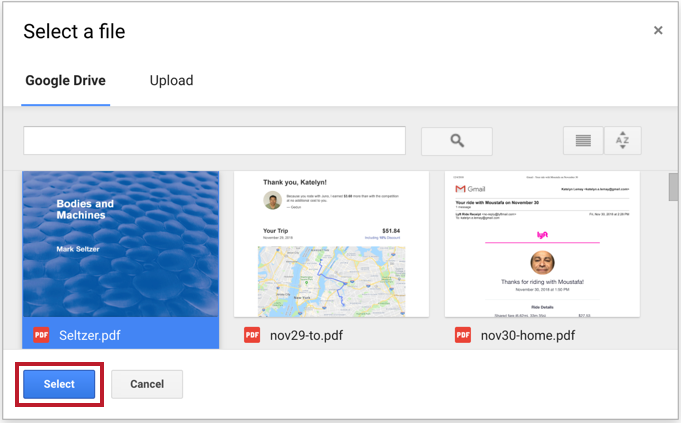 You will be asked to authorize a Google account, and then you’ll be able to search for and select a file, or upload a new one. Click on the file you want to use and then click Select. 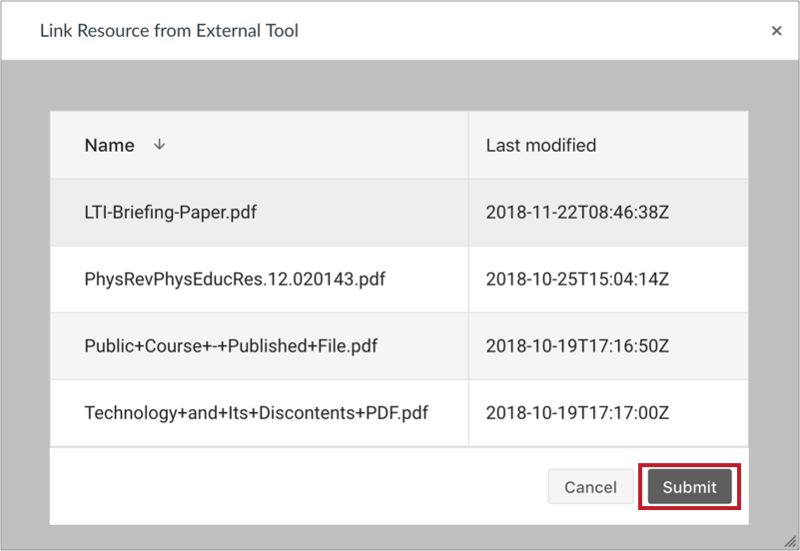 You will be brought back to the “Link Resource from External Tool” screen, where you’ll see a Google Drive URL in the text box. Click Submit. If Canvas developer credentials were not provided during the app install process, this option will not be available. 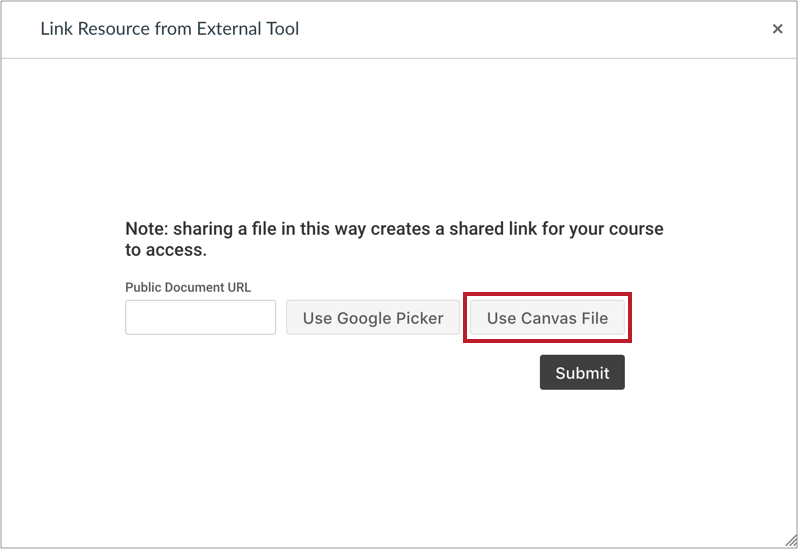 Note: You must upload PDFs to your Canvas file repository before completing the steps below. The Canvas File Picker does not allow for uploading new documents. 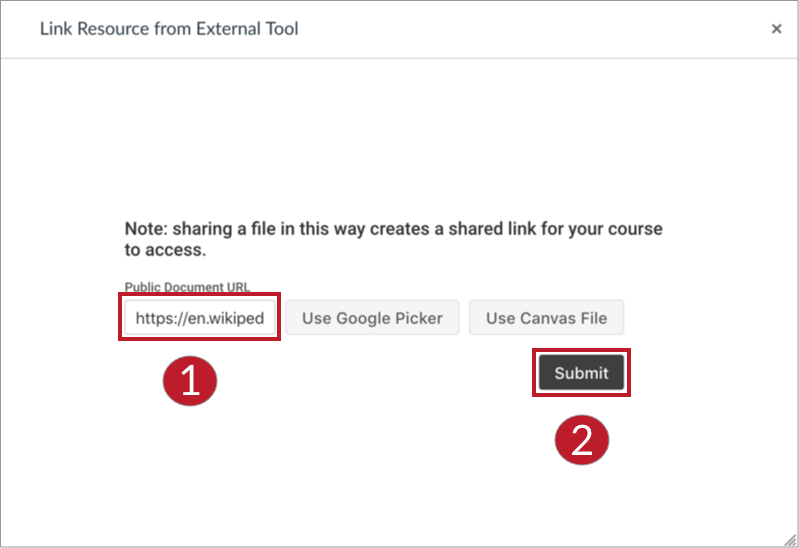 On the “Link Resource from External Tool” screen, click Use Canvas File. You will see a list of files that have been uploaded to your Canvas file repository. Click on the title of the file you wish to use and click Submit. Note: in some browsers, you might not see visual indication that your file has been selected after clicking on the file title. Notice that the URL text box is now populated. If you’d like to have the document open in a new tab, allowing for more room for the text and annotations, click Load This Tool in a New Tab. Students can start annotating right away with no need to join a group, log into Hypothesis, or switch the group scope selector.